At The Weston Center for Aesthetic Medicine and Surgery, Dr. Jon Harrell and his staff strive to provide a ‘world class’ experience for patients seeking to improve their appearance through medical or surgical treatments. We constantly strive to incorporate the latest techniques and technologies available – tailoring them to suit each patient’s unique needs. We take pride in educating our patients and helping them to make fully informed choices about their treatments. All of this is done in a relaxing environment created to ensure the best experience possible for each of our patients. 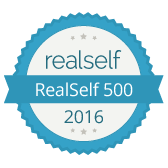 We remain committed to being the best choice a patient can make when seeking cosmetic surgery or cosmetic medicine. Safety, excellence in cosmetic surgery and dedication to remaining at the leading edge of cosmetic medicine and surgery make The Weston Center for Aesthetic Medicine and Surgery one of the best choices a prospective patient can make. We invite you to become familiar with Dr. Harrell, the office and the wealth of information and photographs available on our website. We look forward to hearing from you and scheduling a consultation as soon as you are ready. Whether interested in rhinoplasty, liposuction, or other cosmetic procedures, Dr. Harrell and his staff stand ready to provide you with great results and a great experience. Please click on the button below or call our office at (954) 526-0066 for a complimentary consultation with Dr. Harrell. 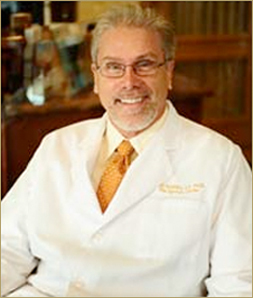 Dr Harrell is a highly trained and experienced Plastic Surgeon with over 24 years of experience. He is a talented surgeon with a natural artistic ability and consummate surgical skills. In addition, his patients appreciate his ability to communicate effectively and his dedication to helping them achieve their goals. Dr. Harrell is certified by The American Board of Plastic Surgery as well as the American Board of Otolaryngology. During his career he has performed thousands of cosmetic surgery procedures on patients from all walks of life - students, homemakers, professionals, performers and celebrities as well as business and civic leaders. He has a truly international clientele with patients from Europe, South America and Asia as well as a large number of patients from out of state. Read more about Dr. Harrell. For further information about our cosmetic services, please Contact Us today to learn more.